Putin birthday celebration: Cult of personality festival for Russian leader. 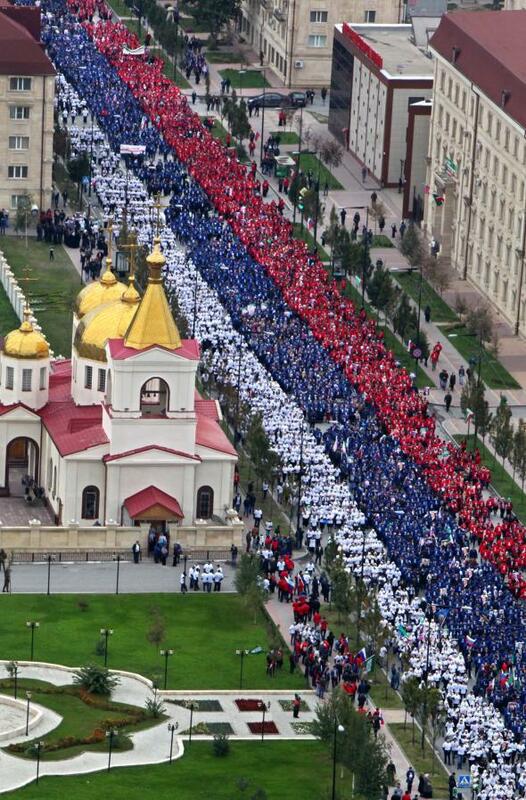 A Putin-related parade in Grozny, Chechnya. 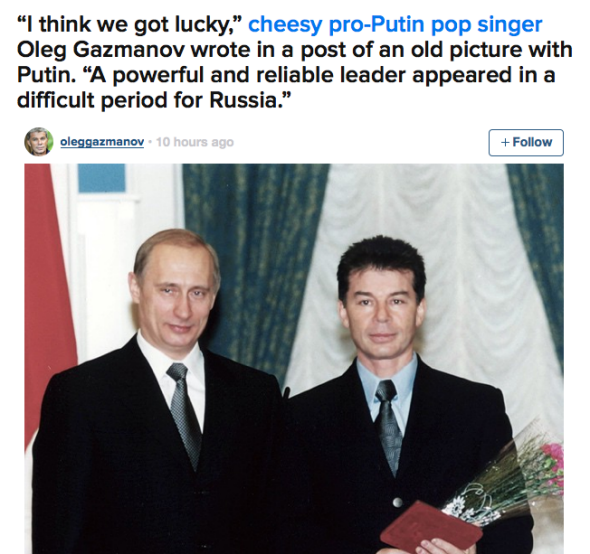 BuzzFeed’s Max Seddon, in addition to chronicling the above, catalogs a number of groveling social media tributes to Putin posted by Russian celebrities and public figures.